A tree plantation refers to an area of land that has been repopulated with tree species, deliberately planted by hand or with machine. In the United States of America, the minimum land size for a tree plantation is one acre. The size however varies in other jurisdictions. One of the striking features of a tree plantation is that the trees are planted in straight lines and at even distances apart. In whatever direction one looks at when standing in the plantation, one can see the trees in one straight line. It makes the plantation a thing of beauty to behold. Another important feature of a tree plantation is that the same tree species are planted on the same piece of land. If it is a pine tree plantation, only pine trees are cultivated and if it is a rubber plantation only that species of trees are planted. If you see a wooded area populated by the same species of trees, it is likely not to be a natural forest; rather it is more likely to be an artificial forest or a tree plantation. One of the primary aims of setting up a tree plantation is to harvest the wood that is generated for industrial usage. For this reason, the owner tries to plant only the types of trees that are best suited for industrial application. In addition, since the plantation is a deliberate action, the planters have the opportunity to plant fast growing trees and trees that are tolerant of degraded land. They also choose trees that can produce in large volumes. Pine and eucalyptus trees are clear examples. Compared to natural forests, tree plantations are populated by trees that are relatively young. One is not likely to see trees that are up to one hundred and twenty years as in the case of natural rain forests. 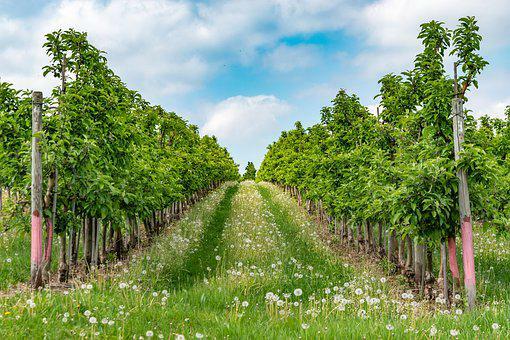 Plantation owners are eager to use the trees in the shortest possible time so the trees grown in tree plantations are likely to grow up to between 10 and 60 years. Some are now even venturing into very fast growing trees that can mature between five to fifteen years. It is also significant to note that the trees that are cultivated on a piece of land may not necessarily be the ones that normally grow there. The plantation owners decide to plant hybrid trees with their eyes on pest and drought resistant strains. This decision is also motivated by the purpose to which the particular tree is going to be applied. Also, the trees found in the plantation are of the same age or almost the same age. This may be because they were all planted around the same time so naturally they grow together. Finally, it is not like that you will find decaying wood in a tree plantation. The trees are well tendered and because they are used for the intended purposes as and when they mature, the trees are ‘harvested’ in time and none is left to even start decaying. b. Highlight six characteristics of a tree plantation.